My new Barahona performance longboard. How did you get started surfing? I was selling small trinkets on the beach and I used to watch all the local competitions, until one day one of the judges told me to compete and that he would take care of my stuff while i was competing. What are some of your other (non-surfing) hobbies? Listening to music, longboard skateboarding, mountain biking. 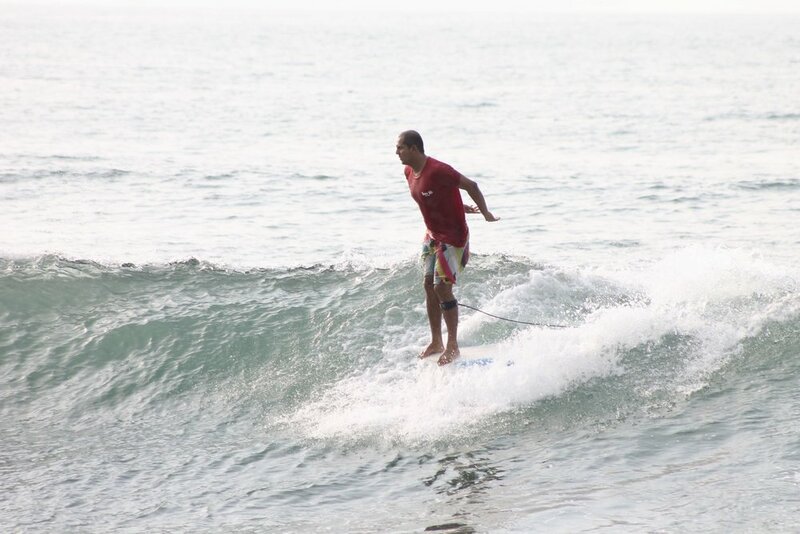 The first board i had was a viking short board - I started riding short board then. I've only been longboarding for the past few years. Piccolo Clemente - I had the chance to surf with him, and he gave me the incentive to keep improving. If you could go surfing with one person...it would be ________? If you could go surfing anywhere it would be ____________? What was your first surf trip? It was to Costa Rica to represent my country.